Rugby league is one of the biggest sports nationwide. 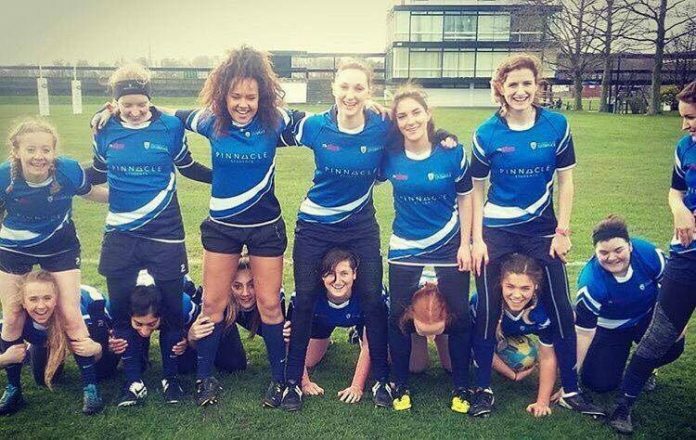 So why doesn't Lancaster, or many other universities, support women within the sport? Rugby league is the lesser known of the 2 rugby codes, partly due to its regional nature. It’s seen as the “northern” rugby with the majority of clubs being located in Yorkshire and Lancashire where the sport originated. Coming from the South, it’s not a surprise that I wasn’t even aware of this sport until university. But after watching my first match I was hooked; the rhythm, the attacking play, the intensity, what’s not to love? As a lifelong football fan, that has travelled to matches home and away my entire life, I feel like a traitor admitting that I would rather watch a neutral game of rugby league than a neutral game of football. There’s something about the sport that engages you, not matter who is playing. You’re left on the edge of your seat no matter what, something always seems to be happening on the pitch. So, why isn’t this sport bigger? For me, part of what makes rugby league is so special is the fans. Looking at the crowds that turn up for a match makes you realise how much of a community that this sport has created. There are entire families happily sat next to future brides on their hen do, pint in hand and veil on. There are big, bulky men talking to the old dears that have been supporting the team for over 50 years. There are no boundaries, no cliques; everyone in the crowd makes up one big eclectic family. This close-knit community of the sport was demonstrated last year after the sudden death of Danny Jones, a rugby league player for Keighley Cougars, during a league match in May 2015. The support given to the young family he left behind, his wife Lizzie and 5 month-old twins, was unprecedented; nearly £250,000 was donated to a fund set up for the family. His wife sang the hymn, ‘Abide with Me’, before the Challenge Cup final, with not a dry eye left in the stadium. Everyone came together in a time of sadness and need. Maybe this is why rugby league isn’t as big as union, maybe the fans want to keep this closeness. Whenever I say that I’m a league fan, the response I get is generally ‘But you’re from the South?’. This comment, despite pointing out the obvious, is fair enough – the furthest away trip in Super league is only 120 miles, with this being the distance between Hull FC and Widnes Vikings. Unless you include Catalans away, then it’s 1000 miles as they’re located in Perpignan in the south of France. But you get the picture; fans are able to travel to away days without worrying too much about the logistics. Especially when you compare this to distances travelled by football fans in the Premier league – 355 miles is the longest away day journey, with this being the distance between Bournemouth and Sunderland. But despite the northern-centric nature of rugby league, it is popular enough to have its own BUCS men’s leagues. The universities with teams aren’t confined to those with junctions off the M62 or above Birmingham – the general marker of the North-South divide. Teams range from Brighton to Warwick to Aberystwyth. In many cases, the vast majority of people living in these university towns may not realise that rugby union isn’t the only form that exists. So, with there being enough interest to establish the sport for men, why is there a lack of women’s teams? Why haven’t those universities located near the ‘giants’ of rugby league, such as Leeds and Huddersfield, helped promote the sport to women? It’s not as if it’s a sport that only men are interested in. A BBC study highlighted that 40% of rugby league fans are actually women! With campaigns such as “This Girl Can” being promoted around university campuses, why aren’t there the same opportunities provided for both genders in all sports? According to the BUCS websites, talks are in place with the rugby Football league about establishing a women’s league but we will have to wait and see the outcome of that. The University of Liverpool has a women’s rugby league team; they’re currently the only one. Talking to them about who plays rugby league, there is a genuine sense of anyone can play – “girls any build, size, height and strength can join because everyone has a set of skills that can be beneficial to the team”. Acknowledging that rugby union and rugby league are different sports is essential for rugby league as a sport to succeed; “we had to fight to keep our team running because even our university suggested we join up with the union girls. However, we have managed to get more and more interest over the past couple of years and at the moment we have the biggest team we have ever had!”. Discussing the future of the sport, the outlook is very positive – “rugby league is not a dying sport like many people seem to think, if we can raise awareness of this great fast pace game, it will only get bigger and bigger’. England has won the bid to host the rugby league World Cup in 2021, with the men’s, women’s and wheelchair tournament being played at stadiums around the country. Surely this makes now the perfect time to develop the women’s sport within universities?